There is nothing in the wine business that builds long term brand loyalty like a visit to the vineyard. The combination of nature, luxury, hospitality, flavor, and education is warmed by the glow that only vacation can provide. It is one of the greatest brand assets that any winery has. Vineyard visits are additionally powerful when the visitor is a member of the trade. A visit by a sommelier, retail manager, critic, or distributor can result in hundreds of thousands of dollars of sales spread over a lifetime. But it is the bad experiences with a winery at the vineyard that can destroy loyalty and cost untold sales. ... and the vast majority of my experiences have been positive. Sometimes, however, the experience is shockingly bad. I left each of these wineries with a bad taste in my mouth owing nothing to the taste of the wine. I'm not going to name names, because that isn't the point of this article. I'm trying to be helpful. I still mockingly tell the story of a Napa Valley winery that tried to sell me at "Tasting Room Retail" wines that I sold in my store. Despite months of scheduling ahead and a promise to meet with the winemaker, I was paired with a guy who got commission on the wines that he sold out of the tasting room. He was unable to grasp that I was here to learn about his wines, not to buy them at retail. #2 - Don't Mock the Part of the Country in Which Your Visitor Lives. Californians tend to believe that they live in the greatest state in the country. Having lived in California, I know that there are many wonderful things and many horrible things about the state. But yes, California is pretty nice and wine country is some of the best of it. That doesn't mean that you should mock other people's homes. I remember a winery in Sonoma County and a winemaker who couldn't stop making jokes about people from my state as ignorant hillbillies and 'people who had probably never heard of organic food.' Every state in the USA has a full diverse compliment of people. Smart and ignorant. Cultured and uncultured. Rich and poor. That winemaker is entitled to his bigoted worldview, but I never sold his wines again. FYI: This is the most common complaint that I hear for industry associates. Wineries need to get their people in line on this. It isn't okay! Those of us in the wine industry have many relationships with many wineries and limited time to visit them. We probably have a schedule. Please respect it. If you are going to be late, say so. If you need to reschedule, please let us know as quickly as possible, and don't be surprised if we can't. Equally difficult is when the tasting is running too long. It is incredibly frustrating have to breakaway mid-tasting to rush to the next location. If I say that we have an hour, please shape the experience to the time available. A little knowledge fixes this problem. The best experiences often start with the question, "How long do we have?" #4 - Don't Limit Your Visitor's Tasting to Only the Wines They are Familiar With. When I'm coming to a visit a winery with which I do business, I'm coming to understand the place, the property, and the people. Tasting the wines is something of an afterthought. I can do that back at home anytime. So if you are hosting an Industry Visitor, don't limit them only the wines they actually work with. Going farther afield to taste small 'tasting room only' bottles and barrel samples is a great way to create a memorable experience for the visitor. It also helps us understand the culture and perspective of the winery. Strictly limiting what your industry partner can taste makes you look petty and cheap. In today's incredibly competitive wine business landscape, wineries want to make sure that their best customers - the industry professionals who promote their wine to the public - have memorable and compelling experiences at the winery. The four mistakes in this article should be considered "never evers" and yet they continue to happen. Wineries that work to eliminate these mistakes will discover that they are reaping significant benefits. Root Cause by Steven Laine. Wine Book Review. Opening a 1947 Alsatian Riesling at Bistro du Sommelier Paris. The 1947 Alsatian Riesling and Le Bistro du Sommelier Paris. A Chateau Musar Lebanese Wine Seminar: with Marc Hochar. Is Your Winery Really an Art Studio? Why is it so difficult for many wineries to consistently sell their wine? Perhaps, it is because they are behaving more like an artist in an art studio instead of a business selling a product. What do I mean? Let's take a look. One of the fundamental rules of business can be summarized in this way. "Find out what people want to buy and make that thing for them." This is at the core of how capitalism creates value for the world. Customers speak with their dollars about the products they want to exist and businesses are compensated for creating that product for them. This is the opposite of what an artist does. Artists create the thing that they wish to create. Then they hope and pray that someone can sell it. The effect here can be startlingly original and insightful works of art. It can also be why the phrase 'starving artist' is a cliche. We live in a time when many independent wineries are suffering slowing sales, shrinking distribution channels, and the pain of deep discount online retailers. Rarely, do they understand why. There may have been a time in the American Wine Business when winemakers could make anything their hearts' desired and sell it all. Those days are passing quickly, if they aren't already gone. None of this means that we need to sacrifice originally and quality. That isn't the point here. On Sunday, August 14, 2016, I had the honor of speaking to a room full of wine bloggers and industry professionals at Wine Bloggers' Conference 2016 in Lodi, California. My topic was one on which I am passionate. Born of my Kedge Wine and Spirits MBA research and my experience as Director of Marketing for Bonny Doon Vineyard, I spoke about the necessity of Direct-to-Consumer Sales for Independent Wineries. And how bloggers have learned the skills to help them. Please enjoy the video presentation or read the transcript just below the video. Let me introduce myself. My name is Austin Beeman. My blog is my name. In fact, all of my social things are my name. I have a special wine email that I use when communicating with bloggers or when I'm communicating at conferences. My blog primarily posts my video podcast, "Understanding Wine with Austin Beeman," which I'll talk a little bit about as we go through this. Basically, I do winemaker interviews on video coming out of working in retail and meeting all these great winemakers and realizing that the average person doesn't get a chance to meet these great winemakers, and it'd be a fun thing to dig deeply into that. I worked in the wine business for about 16 years now, since 2000, after coming back from France, and we'll talk a little bit more about this. But really, this is not about me. The introduction talked a lot about what I've done and "blah, blah, blah," but the point of what I'm saying here is not about me. It really is about this time, the opportunities for wineries, and the opportunities for bloggers. If any of you have visited my blog, you'll know one thing and that is: My blog's not very good. I do everything wrong. I post a lot in a short period of time, and then there'll be months when I'm distracted doing something else. I have okay social followings, but I'm nowhere near many people in this room, and I'm nowhere near a major influencer when it comes to those things. The point here is not about your traffic; it's not about your blogging best principles; it's not about having this huge social media following; it's not about what you can leverage from brand. It's about the skills that you have acquired building your blog, that at this time in the history of the American wine business are absolutely crucial to the wineries themselves. We are in this unique period of time and there are great opportunities. Let me tell you a little bit about my story. Once upon a time, a long time ago, I thought I might someday be Steven Spielberg or George Lukas, or something like that. I spent a lot of time learning video production and launched after high school a video production business. I did pretty well. At first I did as well as my friends who were out working construction jobs, and then I started to do a lot better than them. Then the industry changed dramatically. When I started doing gigs, they were primarily 8mm/16mm films, sitting in a room cutting and pasting. By the time the business was over, around 2004, everyone had digital videography. Everyone had the ability to produce video. I used to be able to snap my fingers and get $5,000 wedding, even in Ohio, where it's not a great economy. By 2004, you'd fight for a $500 wedding. Today, most of those people are out of the business. I learned a very important thing: Even if you do nothing wrong, the technology can change. The market can change and you're dead. That has been something that has been with me all the time. I'm seeing it happen in the wine business. I'm tempting to address that, here for you, so when you talk to these wineries, you'll be able to have some information that will help you. At the time that the video business was waning, I started working in a wine business. First in retail, a little bit in distribution - carrying a bag, going to stores, opening accounts - and then back into running my own fine wine store in the equivalent of an independently owned whole foods. Grew that from about a $100,000 sales to $1,000,000 sales in about eight years. It was a lot of fun; I tasted everything. I was tasting 6,000-7,000 wines per year. However, at a certain point you get tired of standing there and seeing the same thing, seeing the same people. I thought the best thing to do would be: "I want to go work in wine business, I want to work in California, Oregon, or France." I wanted to be on that side of things. But the truth is that I love California, I love many Californians, but they simply do not respect what the rest of the country does when it comes to wine sales, and retail is definitely the lowest ring of that. So, no matter what I knew and what I was capable of doing, those opportunities really weren't there. It's the same with bloggers. 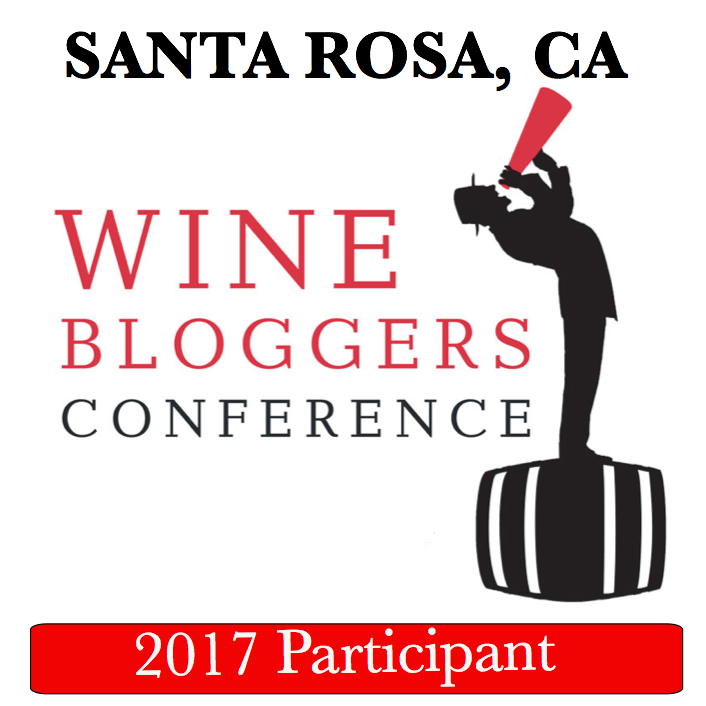 The wine industry loves bloggers, but they don't really think that bloggers are in the industry. They don't really think that bloggers are part of the wine business. It's very hard to make what I'm calling "The Big Jump," which is going from some town somewhere, blogging, working in a small store, to jump into the business in a serious capacity. So, come 2012, I go to some pre-excursions that I had created on my own prior to the Wine Bloggers' Conference. After far too many drinks with multiple wine makers, I heard the same story over and over, "We have warehouses of wine that we cannot sell at all." These were independent wineries making great wines with high spectator, high enthusiast, high Parker scores; none of that mattered. They couldn't sell the wine. Since I've come out of California, I've spoken to lots of people. Almost everyone in that middle space is having great difficulties selling their wine. Yes, they can flush it out in a deep discounter online, and lost money or make pennies, but they can't sell it for a good profit a sustainable way. At that moment, I decided that rather than pursue some certification like a Certified Sommelier or WSET, I would go for the Wine and Spirits MBA, which is out of Kedge Business School in Bordeaux. Immediately, in the first economics class, I get the data of "oh my god, this is what's happening in the America wine business. This is happening across the business, and there are some market trends that are absolutely new for the American wine business, and crushing the independent wineries." When I'm talking about an independent wineries, I'm talking about somebody who's doing something in the 5,000-75,000 production that isn't part of a giant wine corporation, and isn't a high-end luxury brand. It's the people that have to make a living making and selling wine. A lot of them are family owned, and frankly, I don't know about you, but for most of us, those are the wineries that we like. Those are where the innovative stuff is happening in California. Those are the hand-crafted, those are the bio-dynamic, those are the terroir-based. There may be good other wines from big companies and there's certainly great luxury wines, but for the purpose I'm talking about: its independent businesses. So, I saw that it wasn't just a couple people; there is real data that is really accessible - if you want to go to a website, The American Association of Wine Economists has paper after paper after paper showing how much these people are hurting. Those of you who are in the wine industry already know this, but since there's so many bloggers in the room who don't, I'm going to tell you a little bit about the American market. After prohibition, you basically had 50 states that were 50 countries when it came to wine. The issue that they were experiencing was very simple. It was simple to sell wine, but it was difficult. You would make the wine, find a distributor - maybe a distributor for every state, or maybe one or two distributors, or 10 distributors to cover big swaths of the state. They would have the relationships with the retailers and the restaurants. They would sell your wine. You would make some money on that, but you would have somebody else out there selling it. That is very simple, but it works. It has worked for most of American history, and if you found a good distributor, it would work for you. We've seen a number of trends in the last 20 years. One is the rise of powerful brands. There are major wine companies doing tens if not hundreds of millions, maybe even billions of dollars in sales. We all know who they are; I'm not going to name them. I know many people who work there, and the way which that business works you have very powerful, very ruthless, very smart people who's job it is to sell wine as it was Coca-Cola or an industrial widgets. And they're winning. Because the wineries that we like, have no idea how to do the business of wine. The people that know about wine-making, make the best wine; the people that know about wine business get to sell it. Right now, about four brands hold 80-90% of the entire American wine market. Also consolidation of distribution. There are far less distributors today than there were 20 years ago, which means that unless you're a big winery, you're not going to get noticed, picked up, or relevant; your distribution of market is getting much, much weaker. Of course, there's been a consolidation of retail. The superstores, the Wal-Marts; I believe that Costco is the #1 seller of wine in the United States. Whole Foods, Total Wine; you name the big chain, they have incredible power. They force prices down, and when you need to sell into that number of stores, you can't deal with a little guy doing 20,000 cases. It just doesn't make any sense for Whole Foods or Wal-Mart or Costco to do that. So, you're seeing wholesale distribution dry up. When I was with the MBA in Australia, I saw the state of the Australian market where essentially two major brands run everything. Two things have happened that are good for these wineries. One: the rise of the internet has allowed them to be in personal communication via social media, via emails, via live streaming, all sorts of things like that that allow them to build personal relationship. There has been a liberalization of wine shipping laws. You can ship into more states easier, and people are becoming more accepting. We all buy stuff from Amazon; you get in this mindset that it's okay to purchase things online and have them shipped to your house. There's still a lot of legal complexities to that, but it's never been better in the modern era for people to purchase a wine through their smartphone or online and have it shipped to them. Now we're talking about the skills that bloggers have acquired. You talk about Michael Jordan. Michael Jordan's specific skill set of being great about basketball has made him an unimaginable fortune, but at almost any other time in recorded history, that skill set would have been nothing. It would have mattered not at all. So, not only do you have to have the skill set, but you have to have the skill set that connects with the time in which you are living. The skill set that bloggers are creating, running their own blogs - mostly pro bono, - are the same skill sets that can be turned into jobs, into consulting, into real revenue. Most people will probably never monetize their blog. The best most bloggers can hope for is free samples and some cool press trips. There's going to be that 1% that goes and makes a whole career, but if you look at so many of the people that have made it, they've made it by paying wine gigs for magazines, consulting, or working for a brand. Not many people are going to build the kind of traffic that you need to monetize with ads; you might have to write a book, might have to do all these things, and still you're going to struggle to make that middle class lifestyle that most people want and that is normal. I'm not talking about coming out and having Michael Jordan-style wealth, but I'm saying that if you want a middle class lifestyle in the wine business using this skills, that this is a time that that is a possibility for you in a way that it would not have been 10 years ago, and may not be 10 years from now if we don't get in early. The reason this is there, is the idea of direct consumer sales. If you buy a bottle of wine in a store, the person that makes the most money on that is the store. That's just the truth. It's something like a third of the price that you pay is going to that store. Whoever has access to the customer gets to make the most money. That's just fundamental rules of business. The distributor gets a slug of that. If it's coming from out of the country, the importer gets a slug of that. Sometimes there's brokers; they get a slug. The person who tends to get the least out of it, is the winery themselves. They're the ones who put the most risk, and they're the ones who had the highest costs. What changes is that when you sell direct to consumers, yes, there's going to be shipping costs, yes there are expenses involved in that, but you're making all of that revenue. You're making the revenue that the store would have made. You're making the revenue that the importer or the distributor would have made. For the small wineries that sell less wine that aren't getting the good distribution, that are getting their prices forced down by the big distributors and retailers, if you can sell to that individual, you have the potential to thrive and survive. A lot of wineries, especially the little independent ones that we like, they are not making fortunes. They may have a lot of money sunk in land, so technically on the books they're wealthy, but they're not really. There are three types of direct consumer sales. There is the tasting room, which is what most wineries think about because they're used to hospitality-type things. There is the wine club where there are recurring shipments; I'm sure you are all familiar with that. And then there is e-commerce. Right now, most wineries have absolutely no thought to the e-commerce side of the business. Again, there is space where hospitality because most of the top wineries in California are very close to San Francisco and Silicon Valley. There is an unparalleled amount of wealth there, but we know from history there will be a time when that will not be a wealthy area. I come from Toledo, Ohio; Detroit was Silicon Valley before Silicon Valley was Silicon Valley. It's not a matter of if something falls, it's a matter of when. Again, having spent some recently in China, they are gunning. They do not want to be only where stuff is manufactured. They don't just want Detroit's business. Believe me, they want a part ofthat high-end tech business. They are doing incredibly well in that space. I'm not saying that tomorrow Silicone Valley's going to collapse, become Detroit, and have fires and 70% of your population gone, but what I'm saying is that the entirety DTC business we see for most wineries is based on an ultra-wealthy, ultra-young clientele walking in the front door. When that goes away, what do you have? When that even goes down, what do you have? The answer is we have the rest of the country. The amount of money outside of Silicon Valley is greater than the amount of money inside Silicon Valley. There's a lot of people. If you can connect with them, you can now sell to them. There are very, very few states where you cannot ship them wine. If you are communicating, if you are talking about these things, if you are doing social media funnel, content marketing, relationship building with club members; if you're doing all those things, you can succeed in this direct consumer space. That is what bloggers have been learning. We have been playing in the minor leagues; working for pennies, building up these skills, learning what a community is, learning what I need to post, how I need to post. Staying on the cutting edge of tech. Experimenting with that thing first. Bloggers from all over this country are right there learning these things that can be turned into actual businesses. That can be turned into actual jobs; that can be consultants, that can be employees. All of these things are possible and can be done. None of what I'm saying says you have to do it. If you're very ahead with your life, if you're in a part of the country with a family and multiple kids, and all these things, you may not be able to just pick up and move to Lodi or Napa. But you can. They need you. If they don't, they're going to die. They don't know how to do this well. The reason is that farmers make the best wine. We all basically know that. I just got my MBA, but MBA's don't make the best wine. Artists don't make the best wine. Celebrities who fly in on a helicopter to the winery don't make the best wine. Farmers make the best wine. But the farmer temperament does not innovate. Farmers don't innovate, because if you fail and your crop dies, your family starves. That type of people and families just don't innovate; they need to bring people who do innovate in. Deep down, a lot of them know this, and don't know how. In a lot of companies, it's the 21-22 year old who's good at computers that is given these positions. Or it's some grizzled marketing executive who just ... It's a different world. It's a completely different world for them. Or they bring in somebody who doesn't think, a consultant who's very expensive. One of the things you have to do if you're doing this is you have to make sure that the cost is low. It's almost always better to hire a person than it is for them to bring in a consultant for these things. Then, also, tasting room managers. They think that because a person is doing the direct consumer sales in their tasting room, and they're a restaurant person, they got great hospitality skills. All that is wonderful, but because you're big on hospitality skills, does not mean that you're on the cutting edge of tech or know about content marketing; you can write, you can make photos and do videos, you know social media, you know how to build these communities. It doesn't do that. They need these people; you can be these people. Now is the time to think about it, because now is the time that these wineries are at the most risk. The wineries know they need you. I've said that many times. Think about this conference for a second. Think about what you paid; think about what you got. Think about the fact that you have wine makers here during harvest not doing harvest, talking to us. What? You know? For the tweets that we do, for the things that we put out there? Yeah, there's great value in that, and they're desperate. They know it; they can't say it, because it doesn't have a good image. But I can say it! I can tell you! They know that there's a problem; they know we could help it. That's why they want the conference to come here. That's why Sonoma wants the conference to go there. That's why everybody wants this. They know they need this, and they don't know that they can just reach out and say, "Come. Here's some money, come." That's how we're going to monetize. That's how so many of us are going to monetize. That is what happened to me with Bonny Doon. I sat down, talking Randall Grahm, drinking wine, talking about his business, and he's like, "Oh my God, I need you. Come." And I came out and I worked on this stuff, and we did so much interesting stuff. But, he's not alone. He saw it, and that's great. He's seen a lot of things before the rest of people see them. Everyone is starting to see it now, and you may have to be the one that brings it up. You might have to be, "How's your direct consumer business? Is it great? Are you wonderful? Is everything fine? No problems? Or could you use some help?" For most of us who live anywhere other than the Bay area, we're not going to cost what a social media expert who has worked at Google is going to cost. We're going to be able to come in, get a great amount of money for us, and be half of what somebody who has to pay a California rent is going to ask for. The opportunity is so big. The chances are so big right now. If there's a winery that you love and you approach them, and they don't get it? Pass. They're not feeling the pain yet. Go to the next one. And the next one, and the next one. Don't just say, "I'm going to work at this one, and this one." No. Somebody out there - they might be in the Santa Cruz mountain range, they might be in the Carmel Valley, they might be in the Finger Lakes - there's somebody who knows they need you and is willing to step up. Find them if you want this. You can have this. People are already doing this. In the year that I've spent out here in California as I visited as many taste rooms as I can, every weekend getting out, and tasting and having a great time, I start talking like, "Oh, you've a blog? I had a blog too. I came out to pick grapes during harvest and they hired me." I know at least 12 people in Napa who are working for wineries making good money who come from places like Oklahoma, Kentucky, and West Virginia who had a blog with 500 viewers who called some winery and said, "I'd love to come work harvest" and then got hired and are getting paid $65,000 a year or more. It is happening, it is just quiet because there are a whole lot of people who think that, "If I tell people, then it will go away and won't be there for me." But there's hundreds of thousands of wineries, all of which want something. We could place everyone at this conference somewhere with a winery, and it would be great and there would still be a thousand options out there. If this is what you want, if this is your dream and something you want to experience, this is the five-year window to reach out and take it. Now, the wineries you're going to work for are going to be wineries for the most part that are not very well known. You're not going to work for the big wineries; a lot of the wineries you think are medium-sized are actually owned by large companies. You're going to have to play around a little bit; this is not going to be easy. It's work. That's what gets you paid. You have to work for stuff. I want to talk a little bit about ... I did a lot of research into this for my MBA thesis about how new media's being used by wineries. I interviewed a number of wineries from all over the country up and down the west coast and in different places, and had five takeaways that you should put in the back of your head to think about. That is: medium-sized wineries between 20 and 70 thousand cases need this the most, and they're the worst at it because they have big business to run, small staffs, and don't have the time to learn this stuff. So, they tend to hand it off to that 22 year old tech guy who doesn't have any clue. And they need it the most because they have more product to sell and they have far more costs. Number two is that great new media use grows your DTC even when you don't want it. I interviewed a winery where they sell everything they make through wholesale distribution on day one. They're an allocated company. So, you'd think that they would be totally fine. They also produce really excellent quality new media. What they found is they're intentionally having to hold back a percentage of their production because the demand to buy from them is higher than they want, because of their new media success. Even though they as a business don't want to sell DTC at higher profit margins - and I don't know why, but they don't - they're being forced to do that. This guy was talking about having to produce special labels just to sell online because their excellent social media was forcing their online sales up. Using everything but not having a business strategy, doesn't get results. People who are doing every bit of social media, everything out there, but don't have any idea why they're doing any of it. I interviewed people who couldn't talk intelligently about the platforms, and didn't see the increase in sales value, volume, or DTC at all. They fell far below industry averages. So, you have to know why you're doing what you're doing. Again, that's where you as a blogger can bring something special, because you've been building your own business on your own blog for a long time now. You know why you do what you do; you know why you write what you write. Or you should. You can use that for these wineries and say, "Yeah, you're doing all these things, but how about we do two or three of them that really will help your business and sell wine direct to consumer." And then: the category of "Not California" is winning the direct consumer new media game. There is a benefit to your sales to be able to put California on the label. Everybody else is at something of a disadvantage, but the wonderful thing is the one reason California, multiple sizes that I interviewed, almost every one of them had difficulty intelligently speaking about new media. But when I interviewed wineries from the Midwest, East Coast, the South, and the other western states that aren't California, they tended to know this so much better. So, you may want to target some other places first, because they know why they're doing it. They have a good idea. And they may be more receptive. You may have better results in Washington, Oregon, than you have in Napa. You may have better results in Anderson Valley or Santa Barbara than Napa or Sonoma. Think about that. Don't get locked into "It has to be California" or "It has to be Napa or Sonoma." The last thing that I discovered in the research was that wineries that knew who they were and knew who their customers were - and I don't mean demographic data here, but I mean experiential data - they had more success. The people that said, "I can't write well. So I do photos and video, because I know I can't write well" were killing. The people who are like, "I don't have the time to edit a video. I want to do Vine. I want to do six second videos" were killing it. The people who were like, "Yeah, I don't think this is right for my company but I have to do it because that's what millennials want" were failing miserably and not getting the results that they needed. So, that's just a little bit about what I call "The Big Jump." Almost all the wines that we like, all these independent wineries, are special and unique in some way. They just really need to tell the story, and they really need you guys to tell the story. And if you want to make that transition, this is the time and you can do it. Thank you all for getting up in the morning and coming to see me, I really appreciate it. **A special thanks to Stub of Cork Envy for being willing to work the camera on an early Sunday Morning after some serious WBC16 after parties.